How Can I Serve? helps build a foundation for becoming a yoga service teacher. This course is taught by master teachers whose field-tested yoga programs provide healing to underserved populations. This course was created through a partnership between Here to Be, a community-based social impact program of lululemon athletica, and the Give Back Yoga Foundation, a national 501(c)3. This course provides the knowledge and resources to get you into action and contribute to the yoga service movement in your own unique way. 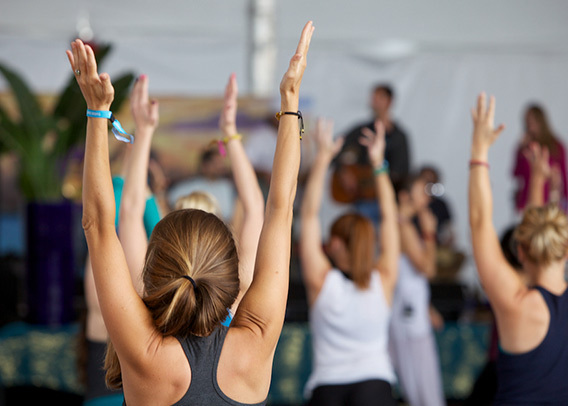 The Give Back Yoga Foundation supports and funds research-based, clinically tested yoga programs for marginalized and underserved populations. Through this work, we hope to inspire grassroots social change and community cooperation in under-resourced areas. As yoga teachers, you have likely experienced and know firsthand how this practice can provide a deeper understanding of self, peace of mind and body, and a difference in the way you relate to yourself and others – both internally and externally. 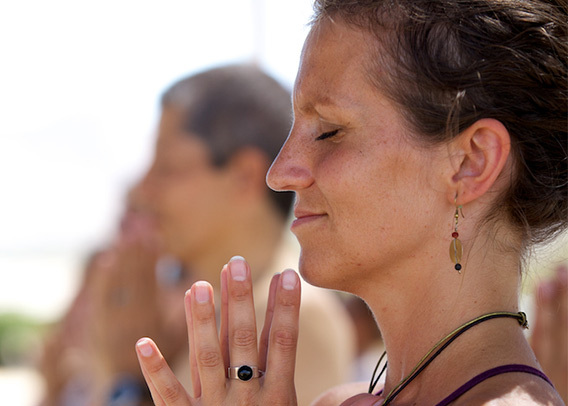 Join us in sharing the transformational benefits of yoga with the world, one person at a time. This module lays the groundwork for understanding what yoga service is, how it is currently practiced, and the science behind the healing benefits of the practice. Within this module, you will explore the importance of developing your self-awareness in this work, how your ego and judgments may show up, and how the lens through which you see the world impacts how you serve. This module supports you in taking action to get involved in the yoga service movement by exploring what your interests and passions are, and turning your intention into action. Yoga service can make an impact on both an individual level and in the broader community. But what exactly is yoga service? And why is it meaningful work? Explore these questions with some of today’s yoga service leaders, hearing from teachers who have founded programs that bring yoga into prisons, hospitals, PTSD treatment centers and more. Then, learn how you can get involved in creating a “ripple effect” of positive change by sharing the transformational tool of yoga. We are grateful for our partners in service. The course was created by the Give Back Yoga Foundation, a national 501(c)3 dedicated to sharing the transformational practices of yoga and meditation with all who can benefit. The yoga teachers featured in the online course videos are dedicated leaders in their various fields – working with underserved populations that include veterans and service members, cancer survivors, men and women behind bars, those recovering from addiction or eating disorders, and more. The development of “How Can I Serve? was supported by Here to Be, a community-based social impact program from lululemon that makes the healing benefits of yoga and meditation accessible through best-in-class nonprofit partnerships.